Who is this Pashaura Singh ? What about the background on the SIkh Chair ? Pashaura Singh an admirer of the infamous Hew Mcleod was born in Punjab. He received his higher education at the University of Calgary in which he earned his master's degree in 1987. Perhaps it was this university in which he began to question some of the most basic beliefs of the Sikh Religion. 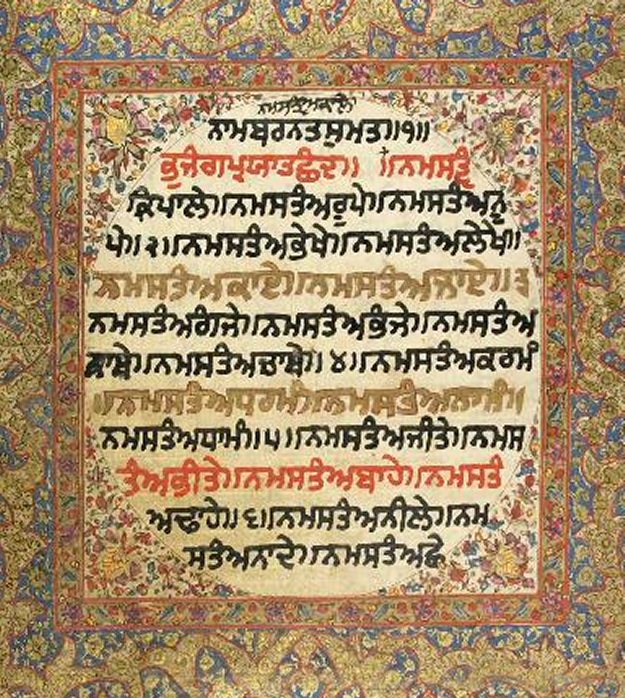 This non-religious environment may have been the cause in which Pashaura began his cynical approach to studying the holy scriptures of Sri Guru Granth Sahib Ji. "They focus their consciousness on the True Bani, and their comings and goings in reincarnation are over. The Pandits, the religious scholars, read and argue and stir up controversies, but without the Guru, they are deluded by doubt. They wander around the cycle of 8.4 million reincarnations; without the Shabad, they do not attain liberation. But when they remember the Name, then they attain the state of salvation, when the True Guru unites them in Union. In the Sat Sangat, the True Congregation, the Name of the Lord wells up, when the True Guru unites us in His Sublime Love"
In an attempt to stir up controversies, Pashaura has made deceptive and profane remarks in regards to Sikh principles. For example, in his thesis "The Guru Granth Sahib Canon, Meaning and Authority" he has stated "It should, however, be emphasized that the reverence of the Adi Granth as Guru lies not in the text, but in the minds and hearts of the Sikhs (pg 6). This quote basically neglects the widely known fact that Sri Guru Granth Sahib Ji was officially given Gurgaddi by Sri Guru Gobind Singh Sahib Ji at Hazur Sahib (Nanded, India). He also wrote, "The solitary couplet that was attributed to the tenth Guru in early manuscripts, lost its authorship and became a part of Guru Tegh Bahadur's shaloks. This may have been intentionally done to keep Guru Gobind Singh's authorship limited to the bani in the Dasam Granth. It may also reflect the contemporary debate over the issue of Sikh identity, that is, whether one follows the teachings of Guru Nanak and his successors contained in the Adi Granth, or one joins the Khalsa of Guru Gobind Singh." (Page 85-86). This statement is making a distinction and seperation between Sri Guru Gobind Singh Ji and previous Gurus. It is these misleading remarks which have caused Sikh institutions to condemn Pashaura and his sinister work. In fact, the Akal Takht in 1994 indicted Pashaura for his blasphemous remarks. On June 25, 1994, Pashaura Singh accepted the Tankhah from Akal Takht Sahib for his misleading and perverse statements--he then promised to revise his thesis. He wrote "… I appeared before the Akal Takhat as a 'devout Sikh', not as a scholar. I had made it quite clear to the Jathedar Manjit Singh at that time and he agreed with me. Anyone who has read my book The Guru Granth Sahib: Canon, Meaning and Authority* (Oxford University Press, 2000) will know that I did not compromise my academic freedom." With such actions and words its hard to understand who Pashaura Singh is and what he stands for. Furthermore, Akal Takht Sahib made it clear that as a scholar he was meant to produce truthful literature which would enlighten and educate the public about the Sikh religion, instead he has dishonoured the Sikh Religion by making blasphemous claims about Sri Guru Granth Sahib Ji. Part of his punishment instructed him "to not publish any material which was produced by him earlier. Also, in the future he shall not keep in mind the sentiments for the ascendancy of the Panth and salvation of all, and conduct only such research on Gurbani and Sikh history, as would lead to blessings of the Living Guru, Sri Guru Granth Sahib and the Guru Panth." Pashaura has claimed that those people who accept the formation of Sri Guru Granth Sahib Ji as the work of God are misled. He states "They think the divine word has come from God and is exactly written in the pages." While many Sikh Institutions believe in freedom of speech, they are concerned that Pashaura's writings and discussions can confuse the Academic world and the students of UC Riverside, many whom are Sikh. In addition, many are astonished by the fact that a prestigious school like UC Riverside, that has a reputation for academic excellence would employ someone to teach Sikhism who has a juvenile understanding of the Sikh Religion. After searching the nation for a promising Sikh Scholar, UC Riverside ended up with Pashaura, who has been employed since 2005 at the University of Michigan. During recruitment, he was promised an endowed chair which would provide financial support for his misleading research. This chair was originally established by the Sikh Foundation who raised $500,000 in recognition of the late and honorable Dr. Jasbir Singh Saini, a Phoenix cardiologist who spent his time helping people. However, when this chair was appointed to Pashaura Singh, people from the Sikh community voiced concern. Dr. Jasbir Singh Saini's wife, Saranjit Kaur Saini, even wrote a letter to the former UCR Chancellor, France Cordova, to choose a more appropriate and competent scholar. A peaceful protest has been announced by local Sikhs against the University of California at Riverside (UCR) to take place on September 26, 2008 from 10:00 AM to 1:00 PM.